The Vine is an impressive Edwardian building situated bang in the middle of the leafy streets of Tufnell Park and the bustle of Kentish Town. 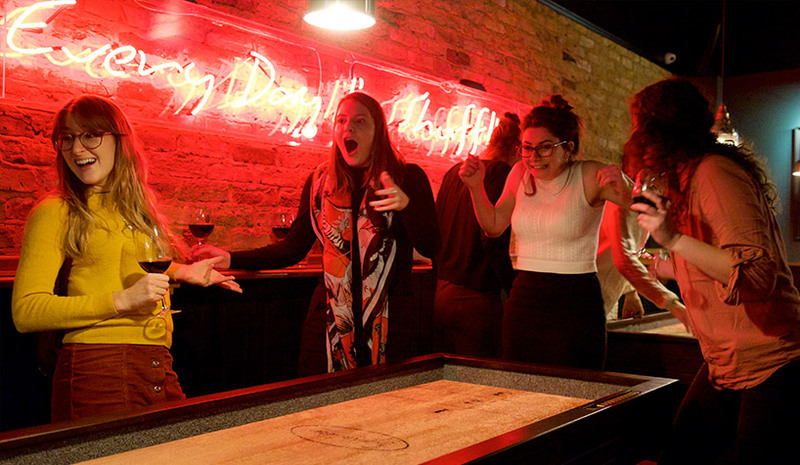 Located within a five minute walk to tube, overground and British rail links make The Vine a perfect destination to meet up with family and friends for a bite or a game of shuffleboard on one of our 2 tables. As part of our refurb we've added 2 brand new shuffleboard tables to our back area. Grab a gang of mates and get a game going, full table service available. Enjoy the sun in our beer garden Kentish Towns biggest outdoor terrace. The Vine is the perfect place for any celebration, party, wedding, intimate gathering or meeting. With room to accommodate parties of up to 350 guests we can cater individually to suit every need. The Vine is an impressive Edwardian building situated bang in the middle of the leafy streets of Tufnell Park and the hipster bustle of Kentish Town. It boasts the sunniest garden in NW5 that heaves with drinkers and diners at the slightest glimpse of sunshine. The pub also houses a stunning eighty seater restaurant catering for formal and informal dining. 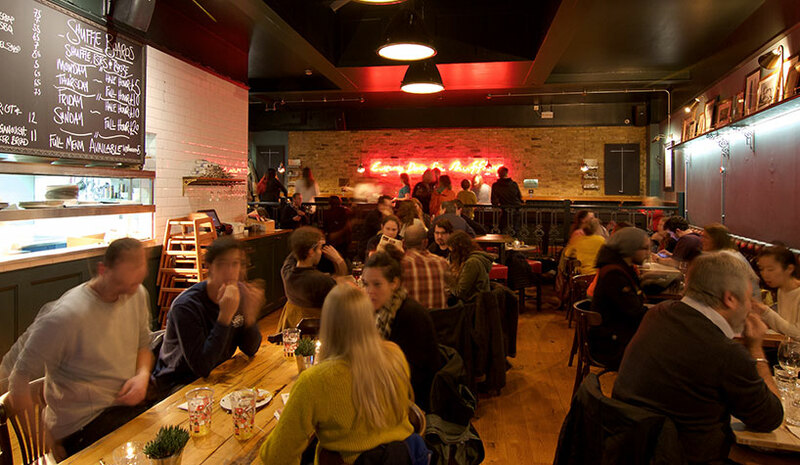 Being located within a five minute walk to tube, overground and British rail links all make The Vine a perfect destination to meet up with family and friends. 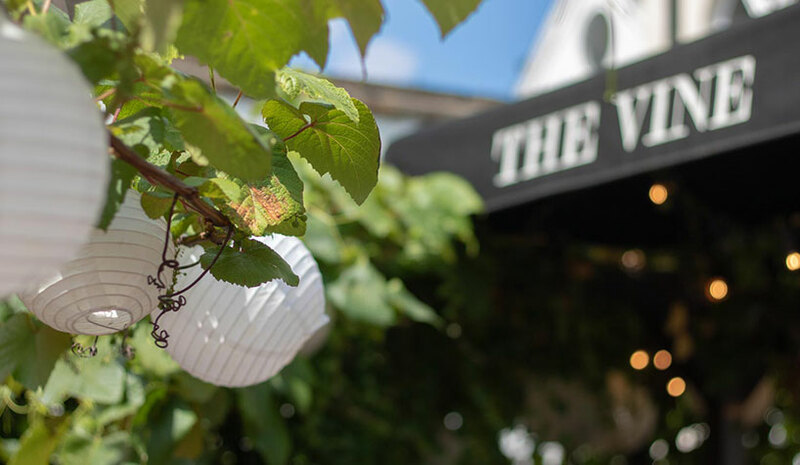 Music lovers can enjoy a bite and a drink before and after gigs at the world famous Forum, dog walkers and cyclists also use the Pub as an oasis after their exertions on Hampstead Heath. The Vine is also a fantastic events venue. With two unique private rooms, The Vine has the capacity to make your next gathering a memorable experience. Its the perfect place for any celebration, party, wedding, intimate gathering or meeting. We are always available to discuss your requirements and accommodate your wishes to ensure the success of your event. Whether it’s a sit down dinner or casual drinks/canapé reception, The Vine has several options for you and your guests. With room to accommodate parties of up to 350 guests we can cater individually to suit your every need.